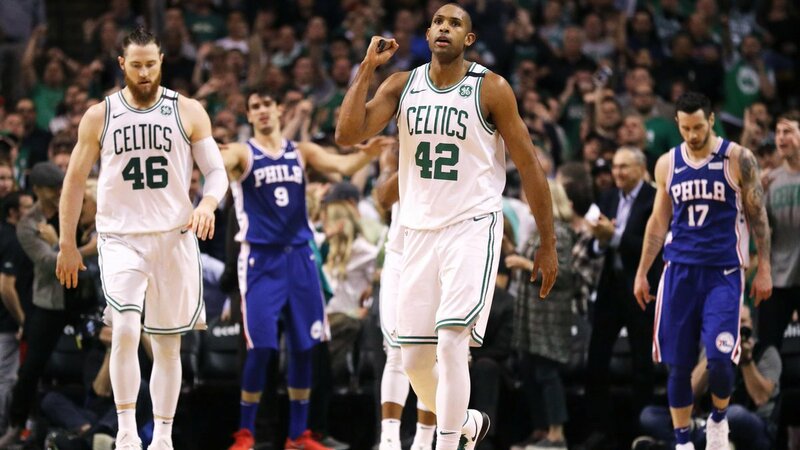 No one really thought that the Philadelphia 76ers had a shot at pulling off the upset in the Eastern Conference Semifinals series with the Boston Celtics. No one has ever come back from a 3-0 deficit to win a playoff series. Could they win one game? Sure—and they did. However, if they won a second Wednesday night and the series returned to Philadelphia, it became easier to see them winning a third. Should they get within reach of making history…craziness has been known to happen during the postseason. 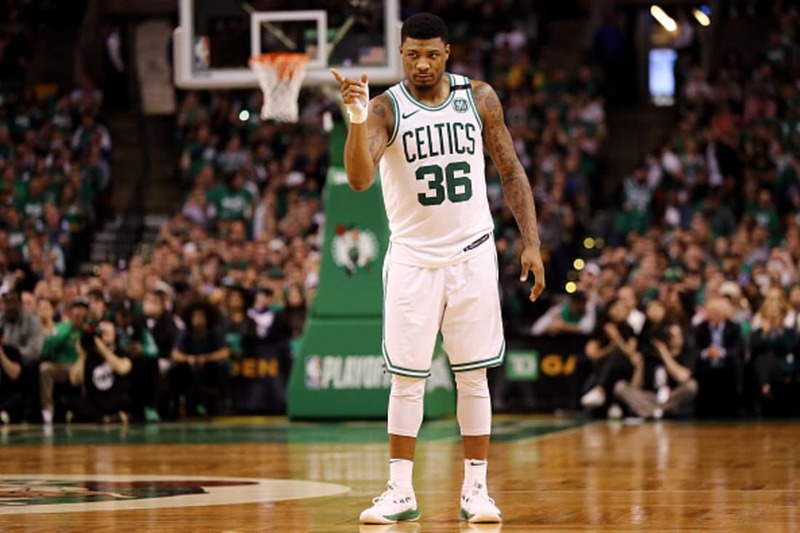 So– even though they led the series, 3-1, the Boston Celtics were in sort of a must-win situation. They needed to close out the series before the 76ers started to believe they could pull off an epic comeback. The game was as close as you could expect in the first quarter. Neither team was able to gain much of an advantage. But after one, Boston was in front, 25-24. The game remained tight in the second quarter, but a late burst by the Celtics put Boston out in front at halftime, 61-52. Boston came out sloppy to start the second half, but the 76ers were unable to take advantage of it. Instead, the Celtics managed to push the lead out to ten points, 66-56, following a Jaylen Brown three-pointer with 9:08 to play in the quarter. But the 76ers were able to battle back and cut the deficit to one-point, 83-82, entering the final quarter. Boston maintained a lead for much of the final quarter, but then the 76ers pulled off a nice run late in the quarter to pull ahead by four, 107-103, with two minutes to play. But when Terry Rozier made his second of two free throws with 9.8 seconds to play, it was Boston that was up by four, 113-109. Just to make it more interesting, J.J. Reddick hit a 26-foot three-pointer with 4.7 seconds remaining to pull the 76ers within one, 113-112. Marcus Smart would take on another point to make the final 114-112. Jayson Tatum led the way on the scoreboard for the Celtics with 25 points followed by Jaylon Brown’s 24. Marcus Smart chipped in 14 off the bench. Dario Saric and Joel Embiid led the way for the 76ers with 27 points each. Both also recorded a double-double with Saric adding ten rebounds and Embiid, 12. With the win, Boston closes out the series and moves onto the Eastern Conference Finals where they will meet the LeBron James and the Cleveland Cavaliers.